In the real world diplomacy is most often successful when two sides represent parties that can each speak with one voice and that have clearly defined objectives that they seek to attain within the framework of a final agreement. This perhaps explains why so many United States’ negotiations worldwide, often erroneously described as diplomacy, have failed in that Washington rarely understands what it actually wants to achieve and, seeking legitimacy through multilateralism, lets in numerous outside players with their own sometimes conflicting agendas to have a seat at the negotiating table. This leads to the alphabet soup of P+5+1 and similar shorthand descriptions, all of which are heavy on participants but light on results. The search for some kind of framework for peace in Israel-Palestine has been particularly vexing as Washington has long pretended to be impartial while at the same time serving as Israel’s lawyer, conveniently vetoing anything that Israel regards as critical in world fora like the UN. This is not to suggest that frustration cannot sometimes boil over in even the most complacent wag the dog relationship. Secretary of state John Kerry came perilously close to blaming Israel directly for the collapse of the most recent round of talks when it chose a crucial moment in the negotiations to announce the building of still more houses on Palestinian land. Kerry, to his credit, has even used the forbidden word “apartheid” in referring to the path that Israeli leaders are pursuing. Under pressure from the usual suspects, he subsequently backed off, claiming he had used the wrong word, though it is likely that he knew exactly what he was doing and was possibly sending an unwelcome but White House approved message to the Israelis that eventually they will run out of political cover from Washington. And the bad news for Israel continued even after everyone declared the peace talks dead and Kerry acknowledged his improbable slip of the tongue. US officials involved in the negotiations, speaking anonymously of course, clearly put the blame for the failure on Israel, something that everyone has known to be true for the past thirty years but which is rarely surfaced in policy wonk circles inside the Beltway. The release of the State Department’s annual Country Reports on Terrorism followed, which, for the first time, labeled the increasing level of violence initiated by Jewish settlers against Palestinians and other targets as terrorism. The designation produced a predictable angry reaction from the Israeli police, which has a venerable history of avoiding investigation of such attacks when Arabs, be they Christian or Muslim, are the victims. But the icing on the cake was the appearance of two articles in Newsweek on Israeli spying on the United States, the first “Israel Won’t Stop Spying on the US” described the massive Israeli espionage program directed against its greatest friend and patron as both “unrivaled and unseemly.” The second piece “Israel’s Aggressive Spying in the US Mostly Hushed Up” explained how Israeli spies caught in the act are most often not punished, a process that author Jeff Stein describes as normal operating procedure, frequently aided and abetted by the highest levels of government. Stein, a former military intelligence officer, is one of Washington’s top observers of what is going on inside the intelligence community and has access to impeccable sources. The latest reports on Israeli spying are eye opening but not particularly new. I for one have been reporting much of the same since 2008. But it is a first to see the allegations prominently displayed in a reputable mainstream publication with the byline of a nationally recognized authority on intelligence matters who is himself Jewish. The pushback against the Israelis is apparently the result of classified briefings held before congressional committees in which the US intelligence and law enforcement communities finally let loose on the depth and breadth of Israeli espionage efforts directed against the United States, most of which target advanced technologies with both commercial and military applicability. 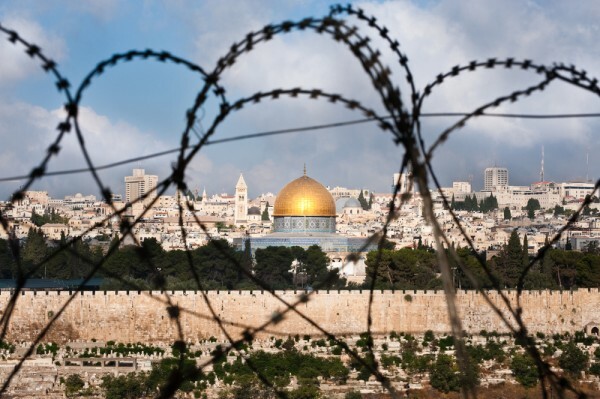 The testimony suggested that if Israel is granted visa waiver status, which would enable any Israeli to travel freely to the United States, there will be even more spies for Zion running around than has been the case up until now. Kerry’s reluctance to speak the truth unambiguously is not surprising as is the use of anonymous quotes to register displeasure with Israeli behavior. The White House operates under the shadow of powerful international Jewish organizations that appear to regard Israel as something that has to be protected at all costs and by any means no matter how it misbehaves. A recent closed door “secret” meeting dubbed Global Coalition for Israel brought together representatives of 25 countries in London to counter the boycott, divestment and sanctions agenda (BDS) by seeking to make illegal any organized attempts to put pressure on Israeli government actions. In a number of countries, including Canada, legislation is being advanced to make any criticism of Israel punishable as anti-Semitism. In the US, states are moving ahead with legislation denying government funding to any group that singles out Israel for divestment or boycott because of its policies. The move is expected to put pressure on universities, where the divestment movement is growing. It is extremely hard work to talk sense to the Israelis, particularly as they have been empowered by the US media and their congressional friends through so many years. Ironically, Israel, which has repeatedly demonstrated that it has no desire for anything equating to peace except on its own terms, has difficulty acting in its own interest. I has, for example, regularly complained that it has no negotiating party in the Palestinians. So what happens when the major Palestinian factions come together to form a unified front that would speak with one voice and simplify talks? Both Israel and the US scream “betrayal” and claim that the new arrangement has destroyed any chance for peace. State Department spokesman Jen Psaki voiced her disappointment over the inclusion of Hamas, arguing that “It’s hard to see how Israel can be expected to negotiate with a government that does not believe in its right to exist.” Washington and Tel Aviv are also planning “reprisals” on top of existing punishment consisting of the withholding of funds due to the Palestinian Authority (PA) being inflicted over last month’s decision by the Abbas government to seek membership in 15 international bodies. One might well have thought that a Palestinian unity government to deal with could well be a blessing and that talking to someone who questions your legitimacy is precisely what you should be doing, but that does not seem to have occurred to the punditry in Tel Aviv and Washington. Other interested observers might ask, “Does it really matter at this point?” as the talks have been a farce ever since they began, enabling continuous Israeli expansion on Arab land without offering anything in return for the Palestinians. In all seriousness, Israel is no friend to the American people and it should not be listened to when it tries to manipulate US domestic politics to serve its own interests, as it did two weeks ago when the Bill Kristol led Emergency Committee for Israel funded a major effort to oust non-interventionist North Carolina congressman Walter Jones. The “special relationship” has made more difficult a responsible American interaction with the rest of the world, but it still can be achieved, just as foreseen by the Founders, through a rejection of the bogus foreign policy narrative that has maintained the perpetual spin mechanism which has been in effect for the past forty years. It would require an understanding that there is a national interest that supersedes party politics and ethnic cohesion, requiring complete honesty from the White House, particularly over matters of war and peace. That is something that has been sorely lacking and it is something that the American people can reasonably demand. 19 Comments to "Israel Is Serious About Spying"
Israel is a Frankenstein of our creation. 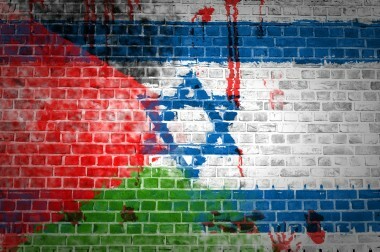 There is anger there regarding Israel’s obstruction of the peace process. They angered and attacked Martin Indyk. 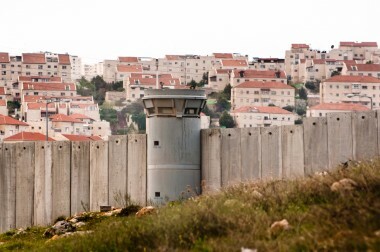 I think it goes to show how unreasonable the Israeli government is on settlements. He understands if there isn’t a two state solution then there will probably be a binational state. Does this mean the settlements issue will be a major divide between the pro-Israel contingency from the pro-Israeli settler bots in the political class? It is beyond horrible what Nazis did to Jews – often while western gentiles preferred to look away and do nothing. Just as there is no moral appetite for doing the right thing today in any number of situations. But let’s not forget Jewish people still alive aren’t those victims – except for the diminishing numbers of escapees and survivors who are witnesses to the horrors. Race is a myth – all are human and subject to both good and bad which that entails.There are Jewish people, just as with all humanity, who choose to do wrong. The Holocaust is not an excuse to enable wrongdoing now, no matter how some want to misuse it that way. Those who truly want to learn the lessons of the Holocaust will never invoke it to justify persecution of anyone now – but unfortunately, and to their shame, some do so now. No man is an island – not even a Jew – and the death of anyone, diminishes us all. Fran, must everything lead to a discussion of the so called “Holocaust?” Just for the record, approximately half of all those killed in the Nazi camps were Jewish. According to the Nazi’s own records that’s approximately 5.5 million Jewish human beings. I see no reason to dispute those estimates. Germans tend to be good record keepers, even Nazi ones. My gripe is that by using the term holocaust, which was not used at the time, or directly after, we unwitting succumb to leaving all the other victims of the Nazi’s crimes out of the indictment. Personally, I use terms like Nazi (or German) mass murders, extermination crimes, etc. I can have no difficulty with Jews using the term Holocaust or Shoah for their own lost, as long as they apply it to their own. Israel’s ‘special relationship’ with the US most closely resembles the kind observed between a host and parasite. This is a problem only the American people can resolve to stave off complete control of their country by the Zionist enemy within one cannot imagine the repurcussions would result. *We* should be stealing all *their* commercial and technological secrets instead of the other way around if what is claimed in the Talmud is true. The US has no chance of ever freeing itself Zionist control, so long as the Zionist mafia owns and controls it’s financial system. The message that needs to be hammered home to Americans is that any country who has, as its primary foreign policy, the continued subvention of the American political system is an enemy. You know, there is another aspect to this whole issue. Obviously it’s only natural for an American to be incensed with Israel (and unfortunately to overlook that our issues of course aren’t with all Israelis or all jews or etc.) And as the U.S. tries to correct its stance over there it’s only natural to see the emerging anger of many Israelis towards *us. * Just read the comments section of the J-Post sometime and see the “stab in back” type comments. The somewhat shock then comes when one steps back and realizes that screwing the Palestinians and ourselves vis a vis the arabs and moslems hasn’t been the only legacy of our policies. Because now that legacy seems in danger of screwing ourselves out of the good friend that Israel *might* have been to us in the long run if things keep going the way they are. And that’s not chopped liver. I am of course aware of the constant and overblown talk about how Israel is our only “ally” there and how great an ally she is to us. But there is nothing to sniff at in the idea of us indeed *having* a good strong and reliable friend in that volatile and important region so long as that didn’t entail the engendering of the great hostility to us that our policies concerning Israel *have* entailed. The lesson of this especially comes home as regards what I believe is the oft-misbegotten remedy for our policies advocated by people who don’t like our situation with Israel. That is, in their call for us to put pressure on Israel to do this or that to settle its affairs with the Palestinians and how it should handle Syria and Egypt and etc. Because as stated all *that* seems to be leading to is not only not helping our relations with Israel’s neighbors, but not helping our relationship with Israel either, and we ought to think in the long run here. Instead then of calling for the U.S. to be pressuring Israel to be doing this or criticizing them for not doing that it seems to me our smarter and more proper stance ought essentially be one of neutrality when it comes to the I/P conflict. Sympathizing with both, criticizing both equally, and subsidizing *neither* beyond the humanitarian need. In a complex world it’s hard enough in considering one’s own best interests to know how to actually *realize* getting more benefit than cost; by definition almost, when acting where we have no real interest can seem to be guaranteed to do nothing but result in cost to us. In among the hyperbolic rhetoric with a dubious connection to reality (Israel “increasingly in the grip of extreme religious fundamentalism”, etc.) but which is too vague to prove or disprove, the author makes a number of demonstrably false factual statements. There is simply no legislation before Parliament in Canada which would make “criticism of Israel” illegal, and such a thing would violate our constitution and so would never be seriously proposed. I am not sure where, other than the the author’s fevered imagination, this idea came from. Furthermore, the author argues that “US officials involved in the [peace] negotiations … put the blame for the failure on Israel, something that everyone has known to be true for the past thirty years”. At the following link (http://www.nytimes.com/2001/07/08/opinion/fictions-about-the-failure-at-camp-david.html) is a 2001 NYT piece by an American official who was present at the 2000 Camp David talks, and which aims to explain some of the intransigence of the Arabs. The official, who is sometimes viewed as anti-Israel, puts blame on all sides and acknowledges that a majority of pundits at that time blamed Arafat for the collapse of the talks. So the notion that “everyone” knows Israel is to blame for failed negotiations over the past 30 years is just patent nonsense. The Internet is unfortunately filled with writings by people who have a casual disregard for the truth, and this appears to be quite a nasty exemplar of the genre.